The vineyards, cultivated by the Clasen family since the 19th century, extend over an area of 18 hectares (44.5 acres). Eager to preserve the unique character of Mosellan wines, the Domaine "Clos des Rochers" displays the human and technical means to meet its high standards. A quality vineyard, entirely replanted over the last 30 years, a winery endowed with the best technical equipment, and obviously, highly qualified people, are all essential elements which contribute to this aim. 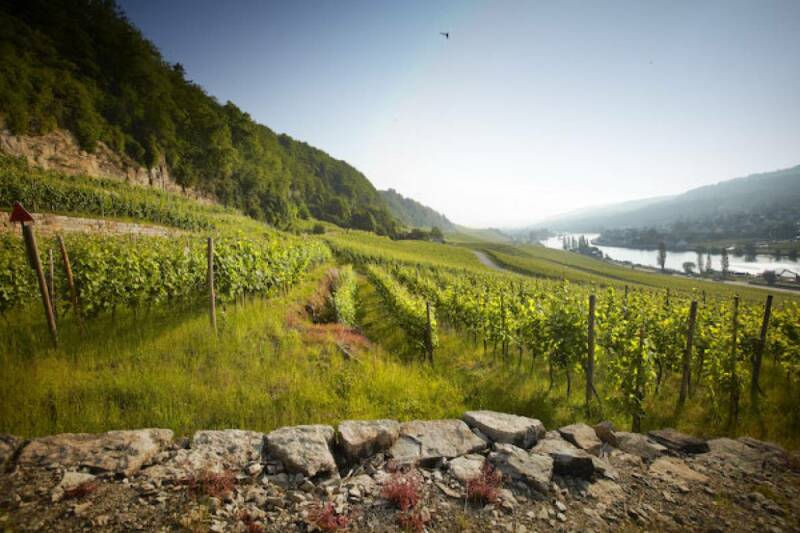 One of the first growers to favour low yields, selective harvesting and integrated farming ("culture raisonnée"), the Domaine "Clos des Rochers" cultivates more than 35 different plots of vineyards over a large range of terroirs between Grevenmacher and Wormeldange. The Domaine "Clos des Rochers" is known for its dry wines with their clean style. They are the undisputed partners of fine cuisine and are endowed with a great ageing potential. Produced according to strict rules, the Cremants "Clos des Rochers" reveal the expertise of the Domaine and the admirable inclination of Luxembourg wines to be enhanced by bubbles! We invite you to enjoy some rest on the banks of the Moselle River and discover the secrets of our great Luxembourg wines. For any further information or personal offer, do not hesitate to contact us.